A few years back, I was having a rotten day, and Emily bought me a copy of Doctor Who Adventures to cheer me up. 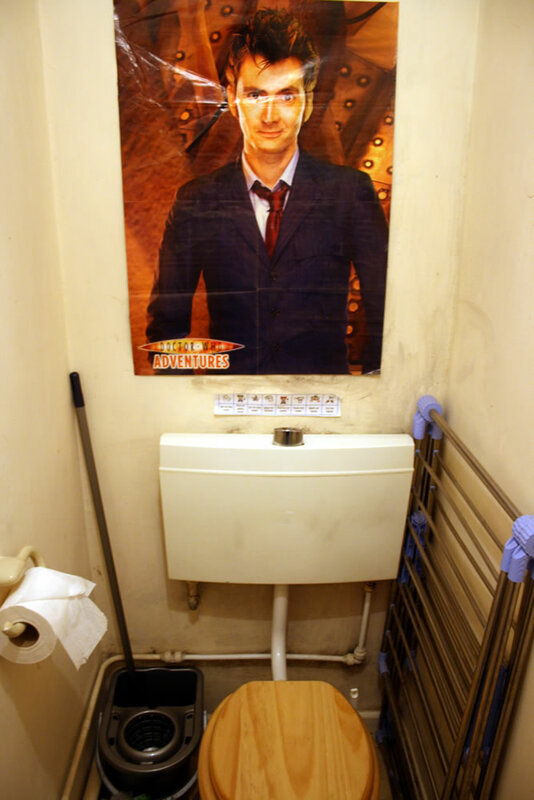 One of that week’s free gifts was a large poster of Tennant – and, having nowhere else to hang it, we stuck it in the downstairs toilet. (In the spring of 2010 I did overlay his face with that of Matt Smith, but it didn’t last.) It’s kind of nice to have him there, but every time I stand at the bowl it does feel a bit like he’s smirking at me or something. Sorry about the mildew. We are working on it. Also in the downstairs toilet: a calendar, also from DWA – I bought an official one when it was disgustingly low in price and then cut up the pictures and pasted them around the house for Joshua’s party. And then there’s this. Emily: It’s just boring! 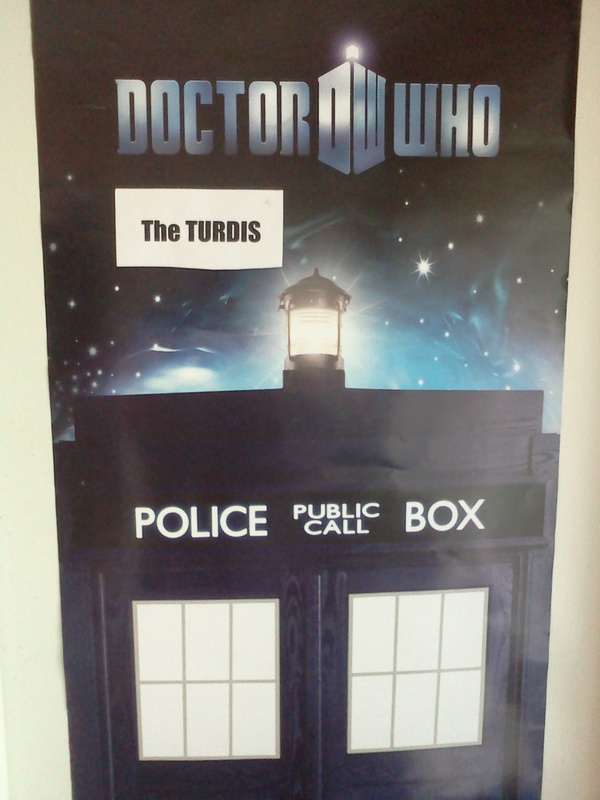 We’ve been calling festival toilets turdises (turdii?) for ages. James: Yes, but I came up with an acronym! Transporting Urine / Related Deposits Into Sewers. So ner. Gareth: Transporting Urine / Related Deposit Into Sewers. How many times do we have to go over this, James?